In the tradition of three generations of Dr. Wings, serving Cincinnati since 1914, our doctors of optometry offer the latest in eye health diagnoses and treatment and deliver the best comprehensive eye examination available anywhere. Like the founding family, each of our doctors is the practice manager with a staff dedicated to serving their patients’ eye care needs. Our mission is to deliver the finest eye care available anywhere. 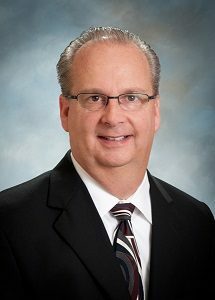 Dr. Nagy joined Wing Eyecare in December 1990 and practices at multiple offices. Dr. Nagy attended Miami University (Oxford, OH) where he earned a Bachelor of Science in Business in 1979. He earned his Doctor of Optometry degree from Ohio State University in 1989. 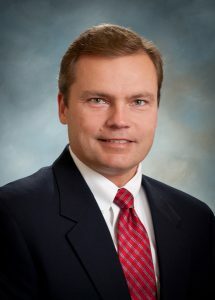 He is originally from the Toledo area and moved to Cincinnati in 1989 after receiving his degree. Dr. Nagy is a member of the American Optometric Association and the Ohio Optometric Association. His areas of special interest include contact lenses and general optometry. Dr. Nagy has also taken part in several missionary trips to Mexico City, Costa Rica, and to the Native American Reservations of Arizona. Dr. Drees practices in our Kenwood office. He joined Wing Eyecare in October 1992. He is a graduate of Ohio State University, where he received his bachelor degree in Physiological Optics in 1988. In 1991, he earned his Doctor of Optometry degree from OSU's College of Optometry. Dr. Drees has served as a board member for the Cincinnati Optometric Association. He is also a member of the Ohio Optometric Association and the American Optometric Association. His areas of specialty include contact lenses and laser surgery co-management. 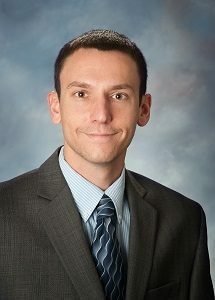 Dr. Drees is originally from Cincinnati and is a graduate of Moeller High School. Dr. Hartman joined Wing Eyecare in October 1996 and currently practices in our Liberty Township office. He is a graduate of Augustana College in Rock Island, Illinois where he earned his bachelor degree in Biology in 1989. In 1993, he earned his Doctor of Optometry degree from the Illinois College of Optometry. His areas of interest include contact lenses, ocular disease management and dry eye therapy. Dr. Hartman and his family reside in Liberty Township, where they have been the last fourteen years. Originally from Illinois, Dr. Hartman had lived in Detroit and Denver prior to moving to Cincinnati. Dr. Hartman enjoys woodworking, model railroading and running. He is also a student of history, focusing mostly on The Revolutionary War and the Colonial Period. In October 1995, Dr. Keiser joined Wing Eyecare and has been practicing in our Beechmont office since that time. Her undergraduate studies were conducted at Indiana University, where she focused on the field of Biology. She earned her Doctor of Optometry from Ohio State University in 1993. Dr. Keiser is a member of the American Optometric Association and the Anderson Township Chamber of Commerce. She maintains a special interest in laser vision correction. Dr. Keiser resides in Cincinnati with her husband, Joe. Dr. Burt joined Wing Eyecare in May 2016 and practices at our Western Hills office. Dr. Burt graduated from The Ohio State University with a bachelor’s degree in Biology. He then attended The Ohio State University College of Optometry and graduated in 2016. Dr. Burt had externships at the Veteran Affairs Hospital in Dayton and the Novus Clinic in Akron. His interests include primary care optometry, contact lenses, and management of ocular disease. Dr. Burt enjoys cheering on the Buckeyes with his wife Alyssa. Dr. Herron joined Wing Eyecare in October 1998 and now practices in our Symmes Township office. He received his undergraduate degree in Biochemistry from Rice University in Houston, Texas in 1992. He later earned his Doctor of Optometry from Ohio State University College of Optometry in 1996. One area of special interest for Dr. Herron is pediatric optometry. Dr. Herron lives in Deerfield Township with his 3 sons, Brandon, Anthony, and Nolan. Dr. Dayringer joined Wing Eyecare in June of 2004 and practices in our Florence office. He earned a Bachelor of Science degree from Grand Valley State University in Biomedical Science and earned his Doctor of Optometry from the Michigan College of Optometry. Dr. Dayringer enjoys all areas of Primary Care Optometry with special interest in the treatment of ocular disease. Dr. Thatcher joined Wing Eyecare in 2009 and practices in our Beechmont office. She graduated from Ferris State University in 2005 with a Bachelor of Science in Vision Science. In 2008, she earned her Doctor of Optometry degree from the Michigan College of Optometry. 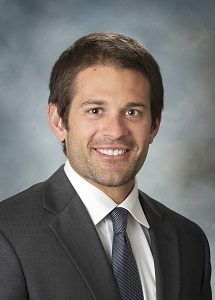 Dr. Thatcher completed an ocular disease residency at Indiana University School of Optometry in 2009. She is currently a Fellow of the American Academy of Optometry. Dr. Thatcher has also participated in two mission trips to Mexico. Her areas of special interest include ocular disease and primary care. 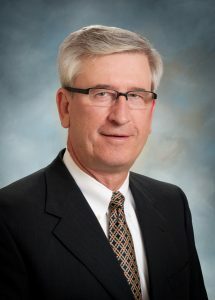 Dr. Terry Nisbet joined Wing Eyecare in December 2006 and currently practices in our Tri-County office. 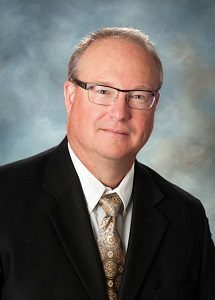 Prior to joining Wing Eyecare, Dr. Nisbet practiced in Middletown, Ohio in his own private practice for 17 years accumulating extensive experience in vision care. His training and experience allow him to diagnose and manage many eye conditions. He did his undergraduate studies at the University of Cincinnati and earned his Doctor of Optometry degree from The Ohio State University in 1989. Dr. Nisbet's areas of special interests include primary care optometry and contact lenses. 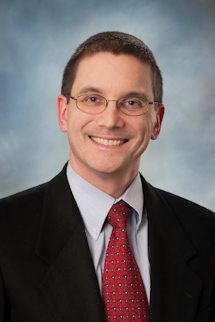 Dr. Muroski joined Wing Eyecare in 2008 and had been practicing in our Hyde Park office. He completed his undergraduate degree at Indiana University with a B.S. in Biology. In 2006 he graduated from Indiana University School of Optometry with externships at the Muncie Eye Center and Ireland Army Hospital in Fort Knox. His areas of special interest include, but are not limited to, primary care, contact lenses and glaucoma. Dr. Muroski practiced for 2 years in Indianapolis before joining Wing, but now he, his wife, and new daughter reside in Madeira. 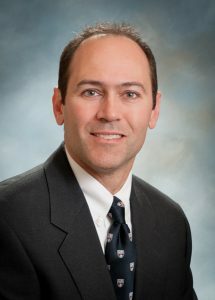 In October of 2010, Dr. Muroski became the new Hyde Park office's optometrist. 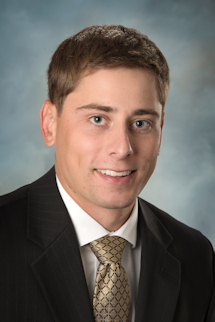 Dr. Michael joined Wing Eyecare in July of 2015 and practices in our Western Hills office. He earned a bachelor’s degree in Economics from Wittenberg University and earned his Doctor of Optometry from Indiana University. His interests include primary care optometry, contact lenses and management of ocular disease. 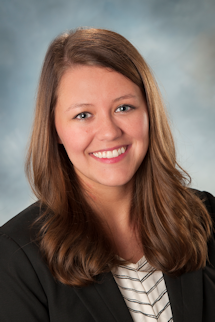 Dr. Kingsolver joined Wing Eyecare in October of 2013 and practices in our Beechmont office. She earned her Bachelor’s degree in Natural Science in 2009 from Xavier University. She then proceeded to Illinois College of Optometry to earn her Doctor of Optometry degree in 2013. Dr. Kingsolver completed externships at The University of Chicago Duchossois Center for Advanced Medicine, Jesse Brown VA in Chicago, IL and at Visionary Eye Care in Chicago, IL. She has additional experience providing comprehensive exams and binocular vision evaluations for children in Chicago Public Schools. Dr. Kingsolver's areas of interest include primary care, binocular vision, and pediatrics. Dr. Francia joined Wing Eyecare in 2013 and practices in Liberty Township office. She graduated from the University of Notre Dame in 2008 with degrees in biochemistry and psychology. In 2012, she earned her Doctorate of Optometry from Southern College of Optometry in Memphis, Tennessee. 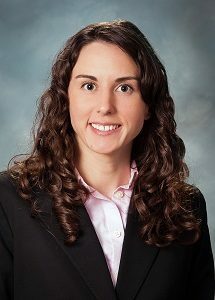 Dr. Francia completed a residency in primary eye care at the Salem Veterans Affairs Medical Center in Virginia in 2013. Her areas of special interest include primary eye care and ocular disease management. 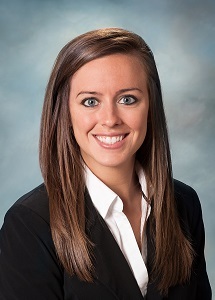 Dr Harpring joined the Wing Eyecare Team in July 2014 and practices at our Colerain location. He is a Colerain Twp. native, a product of Northwest Local Schools, graduating from Northwest High in 1979. He attended Ohio University and then The Ohio State University College of Optometry where he graduated in 1986. After practicing in Erie PA for several years, he decided to move his family back to the area. Dr. Harpring resides in Liberty Twp. with his wife Wendy (also a Northwest grad), has three sons and two grandsons. His Optometric interests lie in General Optometry, Contact Lenses and Treatment/management of Ocular Disease. When not practicing, he enjoys his backyard pond and playing a few rounds of golf. 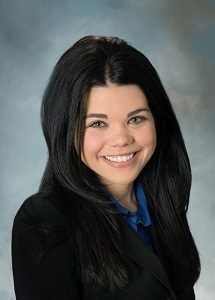 Dr. Danica Lantz is an optometrist providing care primarily at Wing Eyecare’s Cold Spring office. 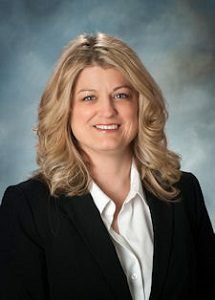 She earned her Bachelor of Science degree in microbiology from Michigan State University before graduating from the Michigan College of Optometry with her Doctor of Optometry degree. Her past clinical work has provided valuable experience with primary care, contact lenses, surgical co-management and ocular disease management. She has traveled to Guyana for a church sponsored mission trip to provide eye care. Dr. Lantz primarily practices at Wing Eyecare's Newport office. He received his undergraduate education at Ferris State University, earning degrees in Applied Biology and Vision Science. He continued his studies at the Michigan College of Optometry and was awarded his doctorate degree in 2008. Dr. Lantz enjoys primary eye care and is experienced in the treatment and management of eye disease. He is an avid traveler and has completed eye care mission work in the Philippines. 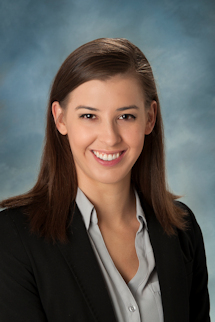 Dr. Reffner joined Wing Eyecare in October 2014, and practices at our Hamilton office. Prior to joining Wing Eyecare, Dr. Reffner practiced in Fairfield Township and Middletown for over 17 years. She did her undergraduate studies in Biology at Bowling Green State University. She earned her Doctor of Optometry from Southern College of Optometry in 1998. Dr. Reffner is a member of the American Optometric Association, and has participated in eye care programs with Prevent Blindness, Real Eyes, and Hope House. Her interests include primary care optometry and contact lenses. 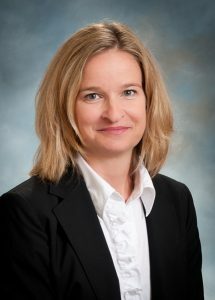 Dr. Reffner resides in West Chester with her husband and three children. 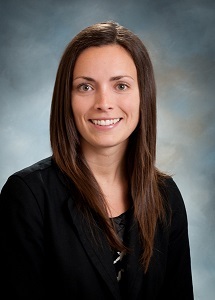 Dr. Cole joined Wing Eyecare in June 2014 and practices at our Milford office. Dr. Cole graduated from the University of Cincinnati with a bachelor’s degree in biology. He then attended The Ohio State University College of Optometry and graduated in 2014. Dr. Cole had externships at the Verteran Affairs Hospital in Cincinnati and the Novus Clinic in Akron. His interests include primary care optometry, contact lenses, and management of ocular disease. Dr. Cole is a trumpet player that enjoyed his time with the UC Bearcats marching band. He also enjoys and values spending time at church. 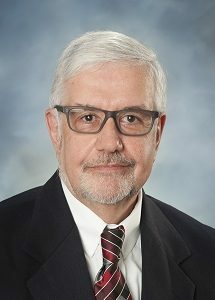 Dr. Barry Gridley received his doctorate in Optometry from Indiana University in 1974, was named 'Young Optometrist of the Year' in 1979, 'Optometrist of the Year' in 1984 by the Ohio Optometric Association, and has owned a private optometry office in Dayton, Ohio since 1974. 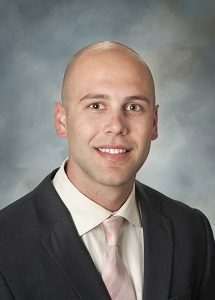 Dr. Gridley joined Wing Eyecare in April of 2016 and has been seeing patients at their new Miamisburg office as well as his established practice in downtown Dayton, Dayton Vision Center. He is married to his wife JoAnne and has two daughters, Allison and Lydia and a grandson, Eli. Dr. Gridley is also very involved in his church in Kettering. Dr. Reitzes joined the Wing Eyecare team in June 2016 and practices primarily in our Florence office. She received her Bachelor of Science degree in Biology from the University of Kentucky in 2012. After undergrad, she attended Indiana University School of Optometry and graduated with her Doctorate of Optometry in 2016. 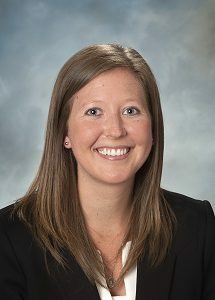 During her optometric studies, Dr. Reitzes completed externships at the Lexington VA Hospital in Kentucky, Bennett and Bloom Eye Centers in Louisville, Kentucky, and Whitewater Eye Center in Richmond, Indiana. Dr. Reitzes is interested in all areas of Primary Care Optometry. In her free time, she enjoys running, reading, sporting events, and spending time with friends and family. 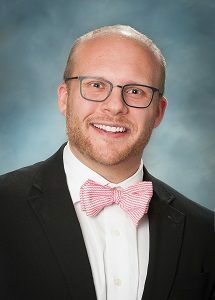 Dr. Stapleton joined Wing Eyecare in July of 2018. He graduated from Xavier University with a bachelor’s in chemistry. He then attended Ohio State University where he earned his Doctor of Optometry degree in 2018. 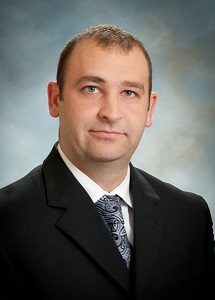 Dr. Stapleton completed externships at the Columbus VA and Columbus ophthalmology. His interests include primary care and ocular disease. 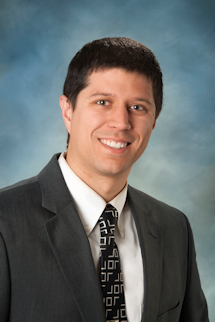 Dr. Michael joined the Wing Eyecare team in November 2013 and currently practices in our Florence, Kentucky office. She graduated from Thomas More College in Crestview Hills, Kentucky with a BA in Biology in 2009. In 2013, she earned her Doctor of Optometry degree from Indiana University School of Optometry. During her optometry studies, Dr. Lang completed externships at the VA Medical Center in Pensacola, Florida and Columbia, South Carolina. Her specialties include contact lenses, ocular disease, and primary care. Dr. Michael is a member of the American Optometric Association and Kentucky Optometric Association. Dr. Nguyen joined Wing Eyecare in 2016 and practices in our Colerain office. She graduated with a bachelor's of science in biology from The Ohio State University in Columbus, Ohio. Like a true Buckeye, Dr. Nguyen continued her education at her alma mater and later earned her Doctorate of Optometry in 2016. 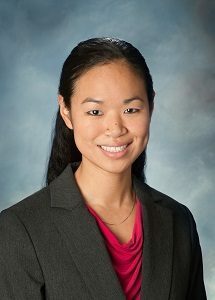 Dr. Nguyen trained at the Cincinnati Veteran Affairs Hospital and the Commonwealth Eye Surgery Clinic in Lexington, KY through her clinical rotations. Dr. Nguyen's interests include contact lenses, binocular vision, and management of ocular disease. 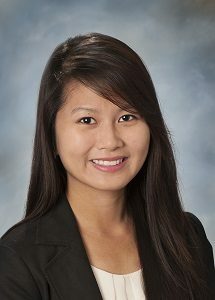 Aside from optometry, Dr. Nguyen is also passionate about travel, and she intends to see the world. Dr. Sanders joined Wing Eyecare in 2017 and practices in our Miamisburg office. She is originally from Kenwood and attended Mount Notre Dame High School. Dr. Sanders graduated from The Ohio State University in 2013 with a bachelor’s degree in Biology and a minor in Public Health. She then attended The Ohio State University College of Optometry and graduated in 2017, earning a dual degree Doctor of Optometry and Masters in Vision Science. Dr. Sanders had externships at the Veteran Affairs Hospital in Tucson, AZ and Commonwealth Eye Surgery in Lexington, KY. She has also participated in mission trips to Peru and Guatemala. Dr. Sanders enjoys running and watching Buckeye football with her husband, Jon and their dog, Scarlett. Dr. Gabbard joined Wing Eyecare in May, 2018 and practices at multiple locations. 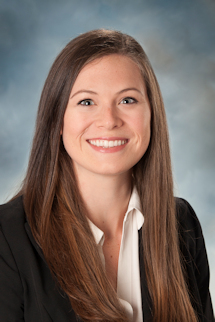 She attended Wittenberg University (Springfield, OH) and was pursuing a biology degree before she was accepted into Indiana University School of Optometry in 2014. She received a Bachelor of Science in optometry in 2016 as well as her optometry doctorate in 2018. Dr. Gabbard enjoys all aspects of primary care optometry as well as ocular disease. Dr. Watson joined Wing Eyecare in May 2017. She practices at multiple locations but is most often found at our Crescent Springs office. Dr. Watson studied Chemistry at the University of Kentucky for 3 years before gaining early acceptance into optometry school in Memphis, TN. While in school she trained at Bennett and Bloom Eye Centers based in Louisville, KY and the Eye Care Center - a group of private practices based in Richmond, KY. She graduated with her doctorate degree from the Southern College of Optometry in spring of 2017. Dr. Watson's interests include spending time with her church family and cheering on the CATS with her husband, Steven. 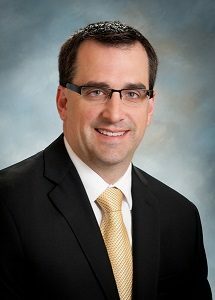 Dr. Martin joined Wing Eyecare in 2017. He originally hails from Massachusetts and earned a Bachelor of Science from the University of Hartford in 1993. He then earned his Doctorate of Optometry from The Ohio State University in 1998 and completed the residency in Low Vision Rehabilitation with a Masters in Physiological Optics in 2000. He is currently a member of the American Optometric and Ohio Optometric Associations. He enjoys all aspects of optometric care. 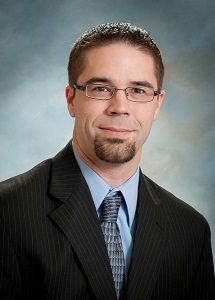 Prior to joining Wing Eyecare, Dr. Martin practiced in Toledo and then Dayton for seventeen years. He currently resides in the Dayton area and in his free time enjoys music, swimming, and greyhound adoption.